Sequim, Wash. – January 24, 2019 – Team RainShadow, a division of Batson Enterprises, Inc., is excited to announce the signing of Michelle Jalaba to its 2019 brand ambassador staff. 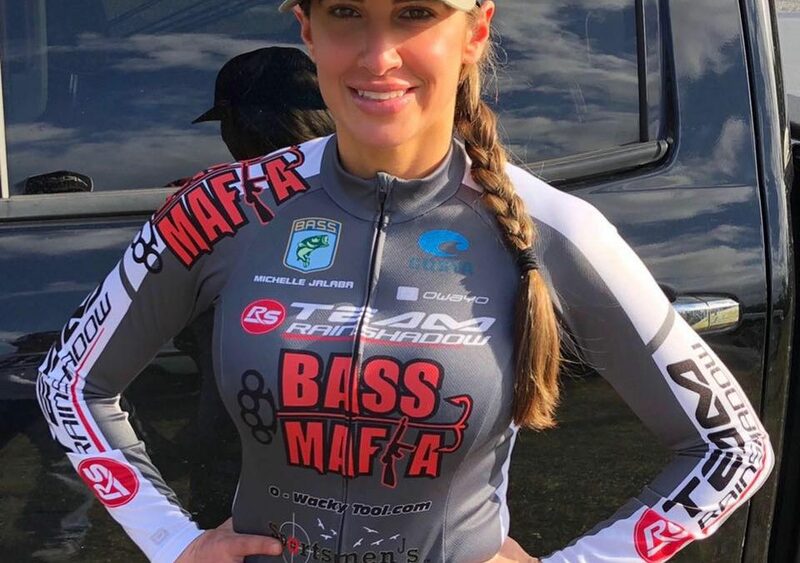 As a brand ambassador, Jalaba will fish bass tournaments across the United States using custom-built fishing rods made exclusively with products from Batson Enterprises: RainShadow rod blanks and ALPS and ForeCast components. Jalaba is a Michigan native with over five years of experience fishing at a competitive level. Her resume includes tournament participation in the Pan American Championships, Bass Fishing League (BFL) and the Fishing League Worldwide (FLW). Her upcoming 2019 tournament schedule features stops on the FLW Costa Series, FLW BFL (Michigan) and the 2019 Bass Pro Shops Bassmaster Eastern Opens. Team RainShadow is a group of elite anglers and fishing guides who are hand-picked to showcase Batson Enterprises’ quality products in competitive and challenging environments. Team Rainshadow members play an integral role in developing and testing Rainshadow rod blanks and components from ALPS and ForeCast.